Posted on September 5, 2018 | 2012 views | Topic : Featured Articles, Featured Dev, Latest News, News & Articles, Property News, Special Focus. ESTABLISHED in the 1970s, Amverton Bhd is a developer that delivers different products to a variety of consumer segments. 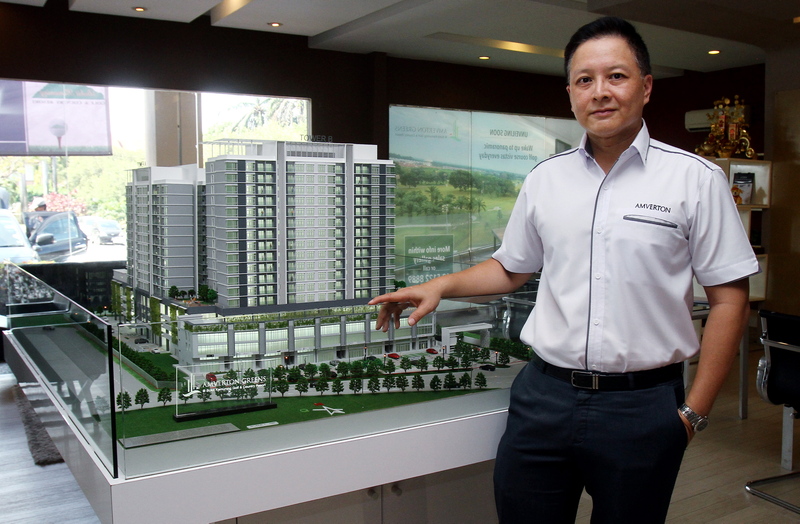 From high-rise buildings to landed properties, the company has focused its attention on Peninsular Malaysia with many of its developments to be found within the Klang Valley. Formerly known as A&M Realty Bhd, the company was incorporated in 1978 by its founder, Tan Sri Ng Thian Hock. It was subsequently listed on Bursa Malaysia in 1995, and last year, the company went through a rebranding exercise and is known as Amverton Bhd. Their core businesses include property development and management, besides being involved in the hospitality services industry with resorts and golf-courses located on Carey Island, Klang, Malacca and Shah Alam. Managing director Datuk Milton Ng said the company currently has ample tracts of undeveloped landbanks primarily concentrated in the Klang Valley which includes 1,938 acres located in Carey Island. “Due to this, we have more time to plan for developments with distinctive features. We are in no rush to introduce new products to chase for revenue, but we are emphasising on maintaining a healthy margin,” he said. Amverton Greens is expected to be completed by 2021, and target upgraders seeking security. 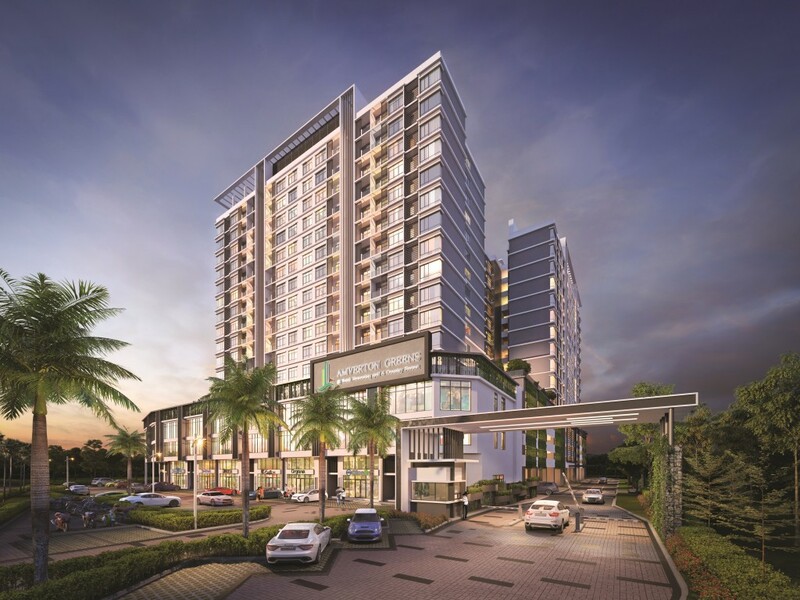 Nestled within the Kota Kemuning suburb is Amverton Greens – a low rise, low density, freehold condominium set in a prime location in Shah Alam. The four-acre condo development has 280 units and built-up sizes ranging from 953sf to 1,528sf. Buyers can choose from five designs; the starting price for a three-bedroom and two-bathroom unit is RM490,000 at RM510 per sq ft. The development is expected to be completed by 2021, and target upgraders seeking security. The first phase of Amverton Links will be completed by December 2018 and the second phase is expected to be ready by 2020. 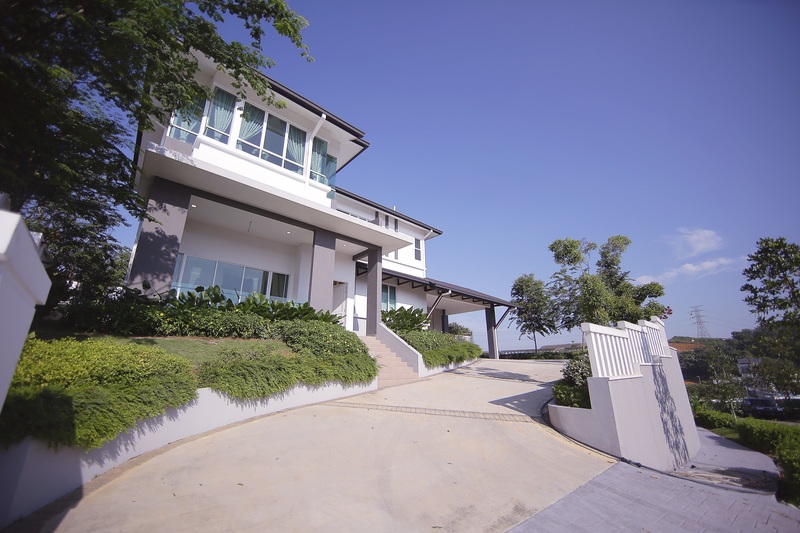 This 55-acre guarded residential enclave in Klang offers two-storey freehold terrace houses suitable for upgraders. 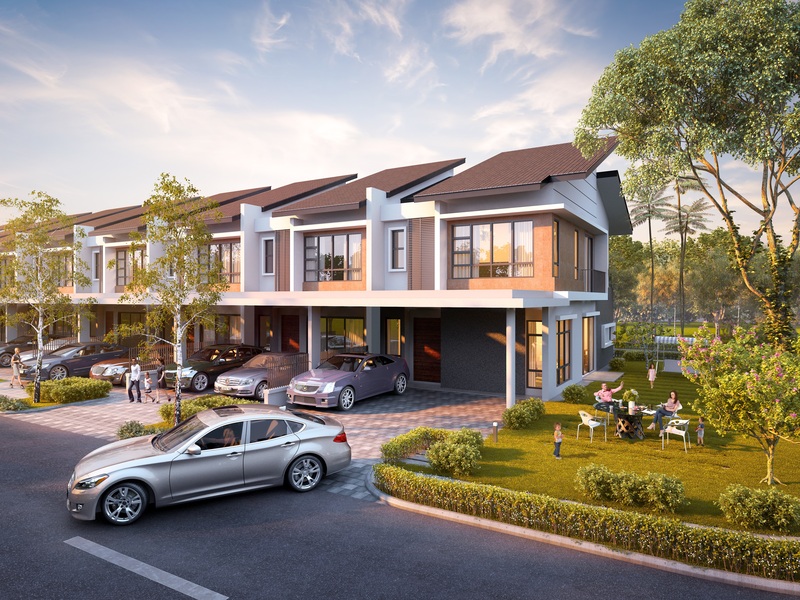 With a built-up size of 2,068 sq ft, each house has four bedrooms and four bathrooms and is priced from RM680,000. The first phase of the development (155 units) is sold out, while 30% of the second phase (100 units) was sold at its soft launch. The first phase will be completed by December 2018 and the second phase is expected to be ready by 2020. The guarded enclave gives residents peace of mind and a clubhouse within the development offers fun activities for the family. The first phase of 66 semi-Ds and 11 bungalows come with two designs for the semi-D and six designs for the bungalows. Those who prefer resort-style living near the city should take a close look at Amverton Hills in Sungai Buloh. The 120-acre development is made up of freehold semi-detached units and bungalows. Residents can enjoy a resort-like lifestyle with modern facilities such as a clubhouse, a natural lake and landscaped walkways beside guarded security for the safety of residents. Prices start from RM1.2mil for the semi-D and RM2.6mil for a bungalow. The resort provides entertainment for the family with such attractions as a splash pool, kids’ fun zone, a spa and karaoke. In the near future, more facilities will be added including a nature park and water theme park. Tucked away on Carey Island is Amverton Cove Golf & Island Resort, an all-in-one family resort with an award-winning 18-hole golf course complete with hotel rooms, chalets and villas. 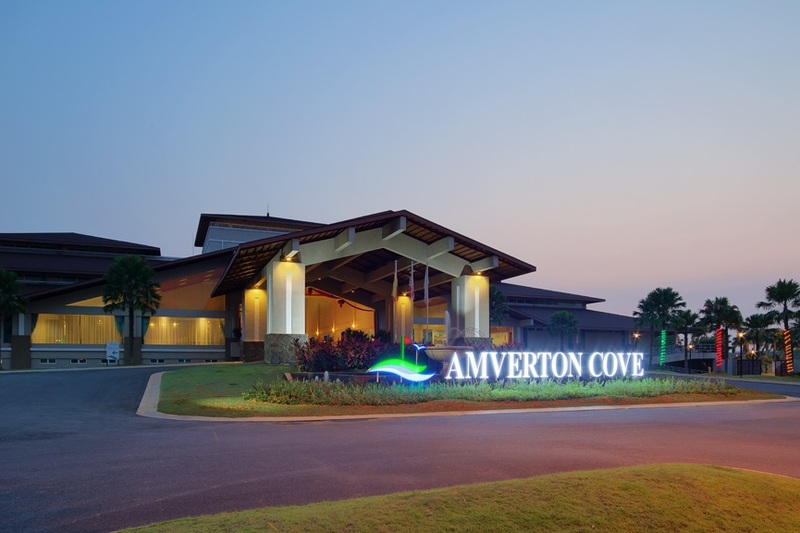 It would be the primary focus for Amverton as they plan to launch serviced apartments at the resort besides being able to cater to more corporate-based activities such as team-building exercises. Following the increasing popularity of the island, the group has planned to construct 250 units of serviced apartments targeted to be launched in 2018, spearheading the number of projects in the pipeline to be launched within the next few years on Carey Island. It is located just 45 minutes away from Kuala Lumpur and 35 minutes to KLIA. “We are now introducing low-rise serviced apartment and townhouse to the island, moving on, there will be an international school with sports centre set in the island, to ensure residents enjoy peaceful leisure living with urban conveniences,” said Ng. Currently, Amverton has Homestead bungalows for sale at the starting price of RM2.9mil each. 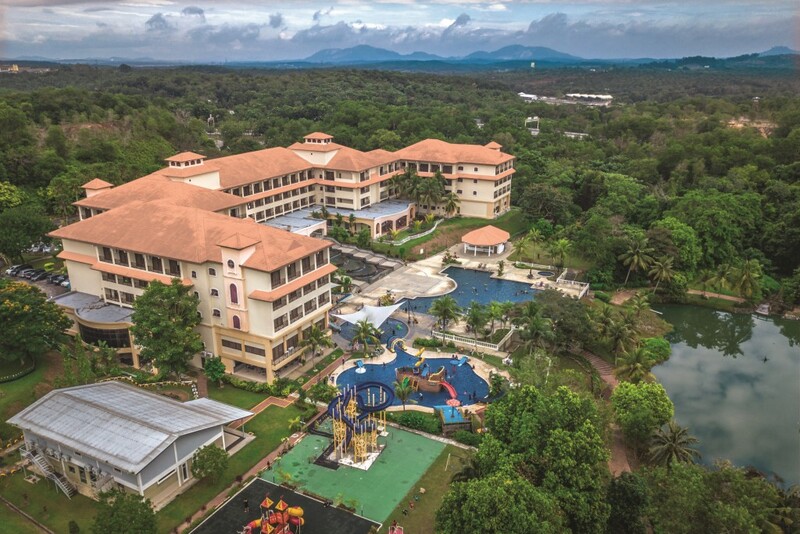 Getting away from the hustle and bustle of Kuala Lumpur, or Malacca for that matter is easy – head for Amverton’s Heritage Family Resort in Ayer Keroh. Located within a short distance from the Ayer Keroh highway toll plaza, the resort features a kids’ fun zone, swimming pool, children’s water park, mini dry park, pool tables, gymnasium, games room, and an all-terrain vehicle (ATV) track for kids and adults. Amverton Heritage Resort also features the family-friendly Solitaire Lounge which is equipped with pool and foosball tables. Ng said Amverton would continue to build on its experience, incorporate modern concepts and innovative ideas to produce quality properties at reasonable prices in good locations. Abiding by the three core pillars of the Amverton brand – security, lifestyle and value – the company will continue to be committed to enhancing the security of its developments. Ng said that most of Amverton’s developments consisted of gated and guarded communities. He also said that last December, the group was awarded the certification for auxiliary police in Amverton Cove as part of CSR efforts to reduce crime. Looking at the future, Ng said Amverton would strive to construct developments that are low in density because it gives more room for attention to creating products with great features for consumers. “Even the newly-launched serviced apartment in Amverton Cove is no taller than 10 storeys. This is because we believe that eco-living can only be achieved in a low-density environment. “Leveraging on the low land cost, our buyers should be able to benefit from it for a comfortable lifestyle,” he said.